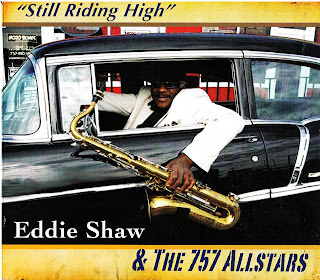 I was talking to my new friend Jackie Scott a few weeks back and she asked if i was familiar with the new Eddie Shaw recordings. I am now and it is hot! The release has 8 tracks opening with a hopping instrumental, Sack Full Of Blues with Eddie leading the way on sax. It's a screamer! Stilladog! It's the saxbomb! I know you'll love it. It features Shaw on Tenor, Chuck Williams on Alto, Bill Kelly on bass, Mark Hopkins on guitar , Henry M Johnson on guitar and Philip Johnson on drums. (Stilladog is my lifelong friend and blues music aficionado in Maryland). Oh Baby is a laid down boogie featuring Williams on vocals and some hot riffs from HM Johnson on guitar. 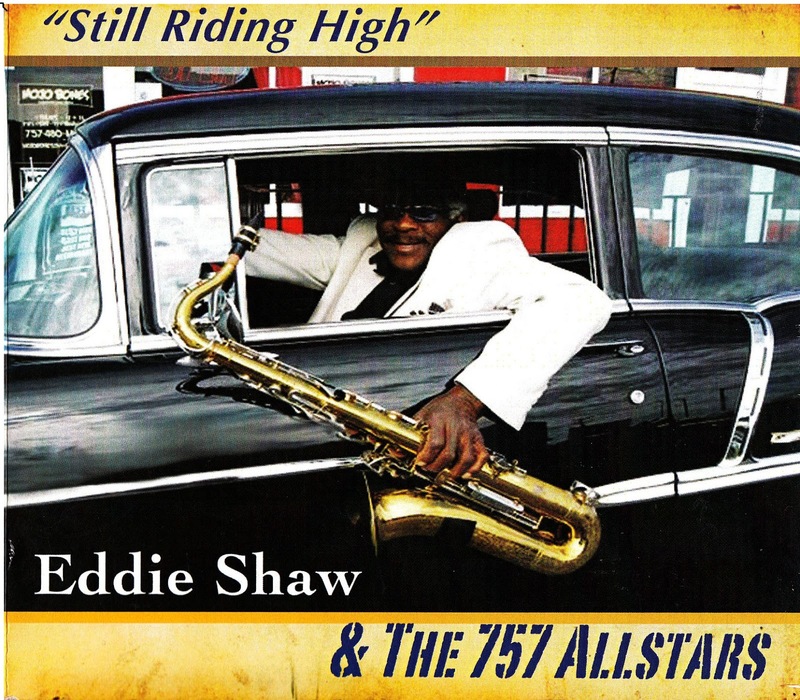 What Comes First features Shaw on vocal for a standard 8 bar blues jam. Paris In The Fall, a loping swing boogie, features Bruce Gray on vocal and super sax from Shaw and Williams. Tom Fisher does some really sweet piano work on this track. Black-Eyed Peas and Fatback features Shaw and Tom Dikon on harp for a primitive little blues track. Louisiana Blues really picks up the pace with Bruce Gray again on vocals and Dikon on harp. Great piano work again on this track by William Ledbetter. Blues Dues hit's square on the head for me with Jackie Scott taking the lead on vocals (can I say holy crap!) and a really deep blues track. Scott can say more with one note than all of the Star Search/American Idol arpeggios I've heard! Hopkins takes the lead on guitar and really digs in for a nice solo. William Garrett leads off on vocal on Stole My Daughter, a Chicago blues style track. You can smell the smoke. This is a real strong track and the band really gets the groove going. Lickskillett Mississippi gets with that Jimmy Reed sound and Ron Fetner on lead vocals. HM Johnson again throws down some tasty guitar riffs and Dikon is hot on harp. HM Johnson leads off I Got To Go Now with some nice guitar riffs and William Garrett takes the lead on vocal. The sax men step back up front on Rock This House and really get the band hopping. Bruce gray sings lead vocals and Mark Hopkins plays a cool slide solo as well. Eddie Shaw and Jackie Scott team up on vocals for I Want A Pretty Woman, written by Fernando Jones. This track has a a bit of a back beat and sets up well for Scott and Shaw to trade vocal licks. This is a really strong cd is so many ways, vocals, saxes, groove factor... it''s all here!